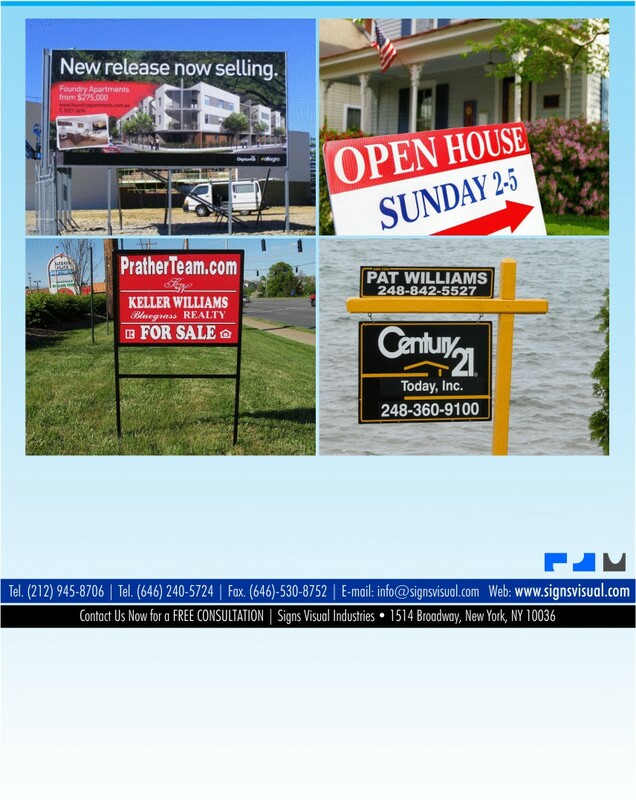 Signs Visual prints custom real estate signage and banners in New York City. Our real estate signage consists of a wide variety of materials including coroplast signage, yard signs, sidewalk A-Frame stands, and foamboard signage. Our real estate signage can be mass produced for future use and availability. They are full color printed with UV non-fade inks which are perfect for outdoor spaces. Contact us today for your next real estate signage project in New York, NY!